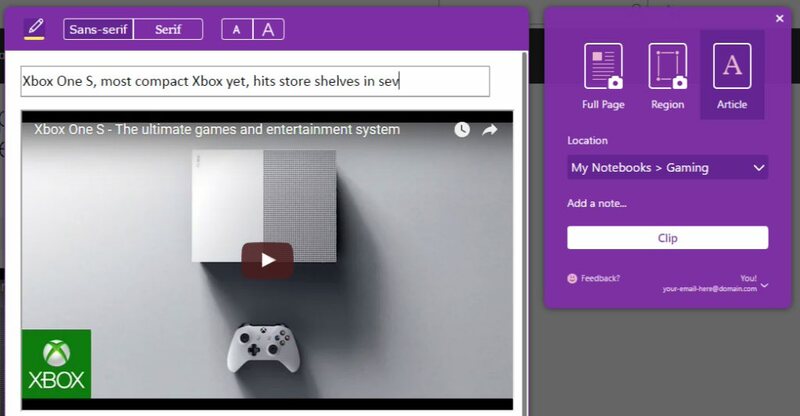 Microsoft has just released July update for OneNote. The latest update for OneNote includes new features and improvements. Check below what’s new. Ink effects: With OneNote July Update now you can add notes and drawings with new ink effects like rainbow, galaxy, gold and silver. Ink effects are now available for Office 365 subscribers in OneNote on Windows 10. Inking in OneNote for Mac: Ink is now available in OneNote for Mac for the first time. Now you can write, draw and highlight with tools on the new Draw tab using your mouse or trackpad. You can also use your third-party drawing tablet or display that uses a pen or stylus to write, draw and erase just like pen and paper. And we’ve added lined pages and grids as a background option to help keep your new handwriting and drawings neat and tidy. OneNote works great with the iPad Pro and Apple Pencil as well. Preview: Now all clipping modes full page, region, article, recipe and product provide a preview so what you see is what you get. YouTube and Vimeo support: You can now clip videos from YouTube and Vimeo pages into OneNote. Highlight text: When you clip an article, product or recipe you can highlight sections of text, and those highlights will be saved to OneNote. Clip multiple regions in one go: Clip multiple regions of a webpage and save them all in a single OneNote page. Use your own title: Change the title of your page in the preview window before sending it to OneNote. Articles your way: Change the font size and type in your article to improve readability before you even clip it to OneNote. Now you’ll receive an email letting you know that someone has made a change to your shared OneNote notebook helping you stay on the same page. Users now will receive a maximum of five emails a day from the Sharing Notification Email service. Each email includes changes from all of your notebooks. The cadence of emails may change as we continue to improve our services.